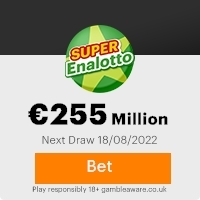 We are pleased to inform you the result of the computer random selection for the Selectlotto/Luckyday lotto NL International program held on 13th july, 2007.Your personal or company email address, attached to ticket number 205-11465886-629, with serial number 3772-99 drew the lucky numbers 7-14-17-23-31-44, and consequently won the lottery in the 2nd category. You have therefore been approved for a lump sum pay out of (One Million Untied Stated Dollars) $1.000.000.00 in cash credited to file REF NO: NLD/2300786008/06 and Batch No 10/044/SLN, This is from total prize money of Two million Dollars shared among two international lucky winners in this category. Your funds have now been deposited and insured with our affiliate security firm for transfer into your nominated bank account either by means of wire transfers through any of our correspondent banks or any other means suitable to you. We also advice that you keep your winning information very confidential as our security policy demands to avoid double claims/impersonation and unwarranted taking advantage of this program by participants. To begin your claims, you are urgently requested to contact our claims agent (Global Financial Network) Amsterdam-Netherlands immediately with your telephone number and fax numbers, and make sure you quote your, REF NO: NLD/2300786008/06,Batch No: Q7114/SLN your name and contact details in all your correspondence with the finance institute. Remember, all winnings must be claim not later than 14th of August, 2007. After this date all Unclaimed funds will be return to the promotion company. Indicate your full Name and Address, Country, Telephone and fax number in your reply to your claim agent. Missed the show?� Watch videos of the Live Earth Concert on MSN. See them now! This Email with the Subject "AWARD NOTIFICATION (YOUR PRIZE MONEY)" was received in one of Scamdex's honeypot email accounts on Sun, 15 Jul 2007 09:59:35 -0700 and has been classified as a Generic Scam Email. The sender shows as luckyday promo <lotbv04@hotmail.com>, although that address was probably spoofed. We recommend that you do not attempt to contact any persons or organizations referenced in this email, as you may expose yourself to scammers and, at the very least, you will be added to their email address lists for spam purposes.